- 4-lb. Size B (Extra Fine) requires 4 pounds of pressure to break it. - 15 yards per 2" spool. 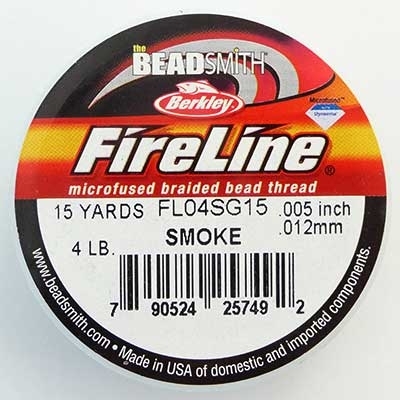 - Works best with a size #12 Beading Needle. * DOES NOT CUT EASILY WITH STANDARD SCISSORS. CUTS BEST USING OUR "WESTCOTT" 5-INCH TITANIUM BONDED MICRO-TIP SCISSORS.